Everybody’s Oppa, Yoo SeungHo is going to portray a man who never has loved a human being! “I’m Not A Robot” is the most highly-anticipated drama for the second half of 2017. After it decided to cast Yoo SeungHo as a main character, people’s expectation goes higher and higher. Yoo SeungHo, who showed perfect acting skills through “The Emperor: Owner of the Mask(2017)”, will try to change images by acting comic, lively character for his first time since he debuted. The audience give attention on his the very first romantic comedy action. This news is good one for fans who have waited for Yoo SeungHo’s romantic comedy so far. 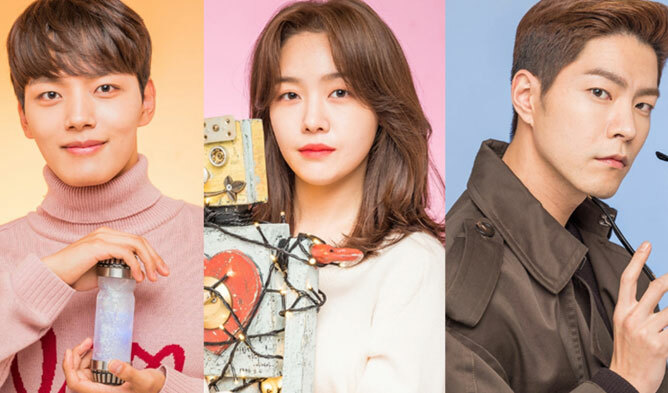 Moreover, “I’m Not A Robot” depicts the pretty interesting and fresh story dealing with the man who are not familiar with loving someone. Aren’t you curious? Let’s learn who else participates in this drama and the brief storyline here! A man who has never loved or saw someone due to an allergy to other people, starts to meet a woman acting like a robot and fall for her. Under some circumstances, JiA came to act like Aji3 an android robot, the story is surrounding their love story. Kim MinKyu, who is a major shareholder in the biggest financial company in Korea, looks like a perfect man with handsome face and perfect body outwardly. But actually, he never had a girl friend because of his allergy to people. She is an inventor and works part-time to reach her dream. She accepts the job to be a fake Aji3, an android robot. Jung DaeYoon, the director of “I’m Not A Robot”, made many interesting dramas, such as “She Was Pretty” and “W”.